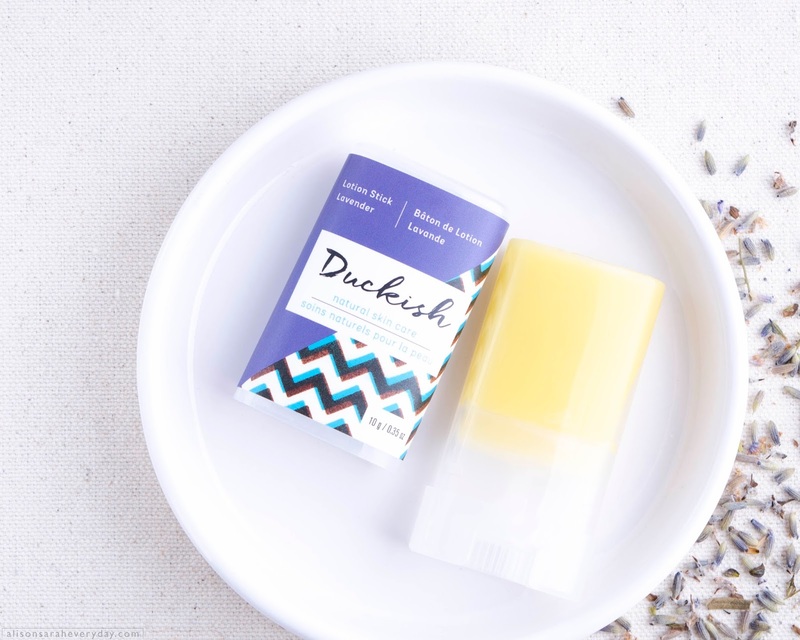 Duckish is a lovely Canadian company that offers natural skincare that is handmade (yay!) and uses organic ingredients whenever possible. I was lucky enough to come across this lotion stick in a beauty box I ordered from Think Dirty! You might be wondering about the name: the owners Carolyn and Josh are from Newfoundland and Montreal respectively, and "Duckish" is a word used in native Newfoundland that means "Dusk" or "Twilight" which Carolyn felt was the best time to indulge in a bath or any kind of personal care ritual. 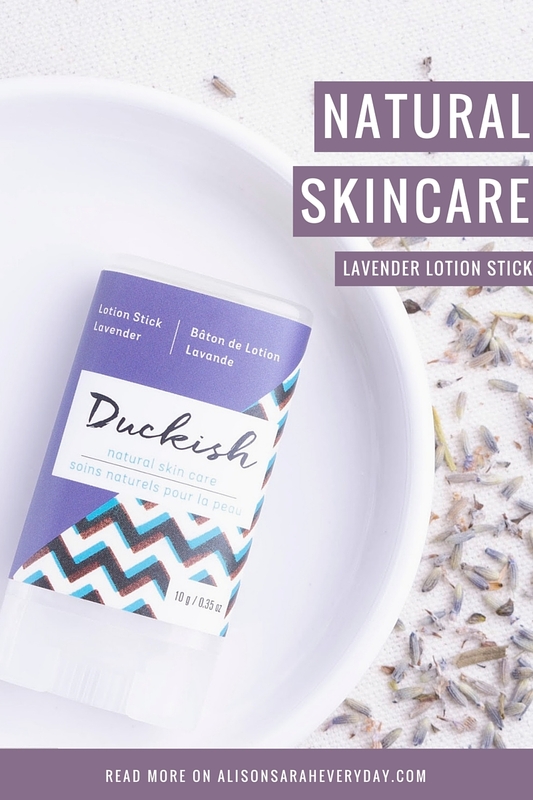 This lotion stick is the best idea ever... Let me explain: there comes a time in everyone's life when you need to apply lotion to various parts of your dry body (elbows, arms, etc) and you don't do it. You just let your dry skin continue to get worse. The reason? Because you didn't want to get lotion all over your hands, because it can be a mess. You are at work, or you're busy doing errands, and the last thing you need in your life is hands getting product residue everywhere. Well here is the solution: a lotion stick. 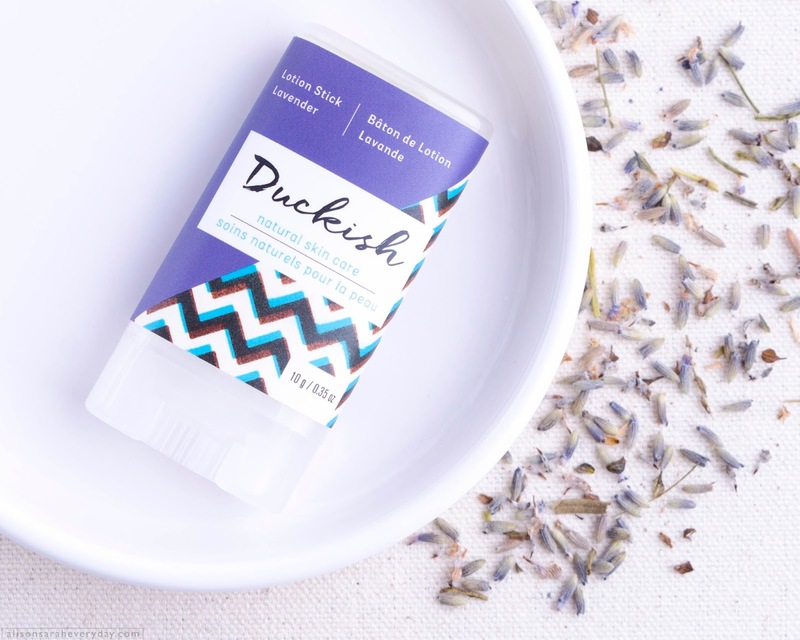 You can dab, smear and liberally apply lotion all over without getting your fingers and palms full of product! The biggest reason I use this is actually for the top of my hands because my knuckles get dry and sore simply from existing (and from washing my hands, dry air, cold weather, etc) and I can go about my daily business as normal because my fingers and palms are not ruining everything with their lotion-ness. All in all, I would definitely recommend trying this! Both the Travel Size and the Full size are great to stash in your bag. Not a fan of lavender? 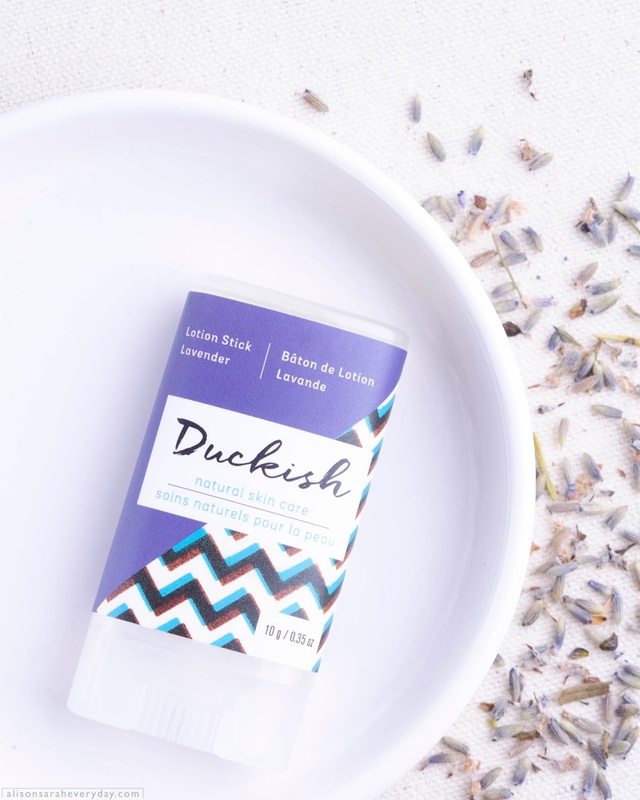 This lotion stick also comes in Unscented (Shea Butter), Pink Grapefruit and Tea Tree. I 100% want the pink grapefruit one too! I too love this product. I just started using the grapefruit stick. I can't believe how great my ancient skin feels. I'm going to get me some more .